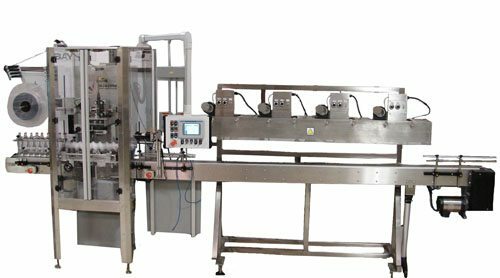 The SL300 Shrink Sleeve Label Applicator can be configured as a full body or mid body shrink sleeve label applicator by simply changing the mandrel and selecting the proper mode in the touch pad control. The SL300 features all servo driven sleeve handling and cutting mechanism. Additional features include powered unwind, Allen Bradley PLC Control and PanelView color touchscreen. Speeds of up to 300 tamper bands or full body sleeves per minute are possible with the SL300.